SA is 121 000 000 hectares. Only 4 000 000 hectares is under summer cropland = 3.3% of total land. 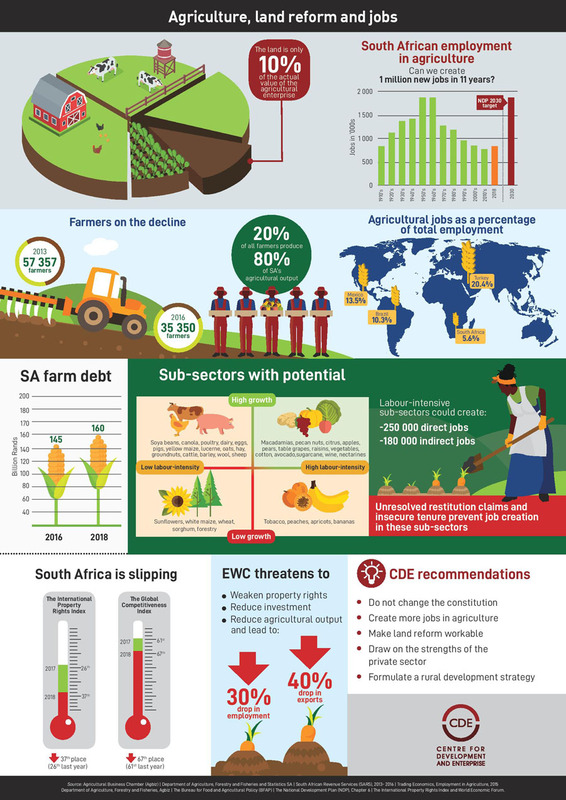 If expropriation without compensation (EWC) happens, and if the land is only 10% of the value of the farm, who will pay for the 90% improvements? ‘Taking it’ will be tantamount to theft and end up in court with the ‘thieves’ charged. Black First Land First don’t get this, nor do the EFF. 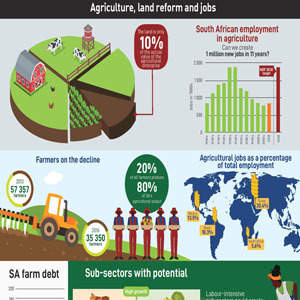 The agricultural sector remains one of South Africa’s largest employers at just under 1 000 000 farm workers , what will happen to these staff in the instance of EWC? No question, land reform is essential, but not at the expense of weakened property rights, reduced agricultural investment, reduced agricultural output, reduced agricultural employment and reduced food security. There is more than enough opportunity to expropriate without compensation unused land owned by national government, unused land owned by provincial government and unused land owned by municipal government – of which there is plenty, but no one knows the exact quantum. A comprehensive land audit is essential. Once done – give this land in the form of title deed to those who deserve it – that’s orderly reform. Some 15% of land is in the former homelands under the tenure system run by various Kings and their chiefs. Be bold, convert it all to title deed – that’s orderly reform. Nowhere in the world as expropriation without compensation resulted in improved capital formation, on the contrary it is resulted in the collapse of once viable economies. Just look north!